You are here:Home » Other Reads » What Really Goes On At Goodwood? With most attendees entering into the spirit of things and dressing in period clothes, the circuit hosts close-quarter motor racing with the types of road racing cars that would have competed during the circuit's original heyday from 1948 to 1966. It is justifiably one of the world's most popular motor race meetings and the only UK event to recreate the golden era of motor sport. Formerly known as RAF Westhampnett, the Goodwood aerodrome is still in full time use with flying lessons and flying experiences. The Goodwood motor racing circuit is based upon the old airfield perimeter and is still in its original form and has developed post-war into the successful venue it is today. The circuit is a favourite of car manufacturers to display their wares to the world’s motoring press or for hosting corporate days. 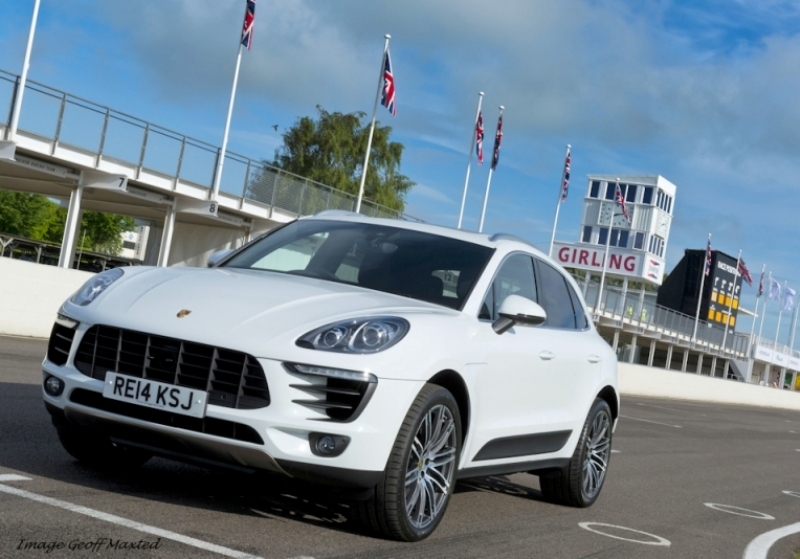 Our image features the Porsche Macan on the starting grid, for example. As well as car launches and racing events the Goodwood circuit is also available to hire for film and TV shoots, photoshoots, charity events and other sporting events like running and cycling. Perhaps arriving in a rented supercar as a special treat, car enthusiasts can take their pick of entertainments at the circuit. For dedicated mud-pluggers there are off-road experiences while would-be racers can experience what it is like to drive the circuit at racing speeds in a supercar or revival style classic car. The venue also offers track days, enabling owners to test their own vehicles and several other options that cover the whole gamut of motor sport. To coin a phrase, there’s something for everyone at Goodwood. Oh, I have no idea that Goodwood exists until I read your post. This is something my boys (and hubby) would love to attend. And I'd be happy to tag along. Have a great week, Shirley!!! It's great to know more about what goes on behind the scenes at Goodwood. Also, that Porsche is so dreamy!! sounds perfect for car enthusiasts. Sounds like loads of fun, Shirley! The period costume event would be a sight to behold and a delight attend just to witness the elegance of days gone by. Have a great time! Have never heard of this before. Thanks for sharing this. So fun! This is something I'm hearing about for the first time. Never heard of this. But it reminds me of the new Porsche headquarters in Atlanta. You can test drive a Porsche on a track they have and go as fast as you want. Even do donuts if you'd like.